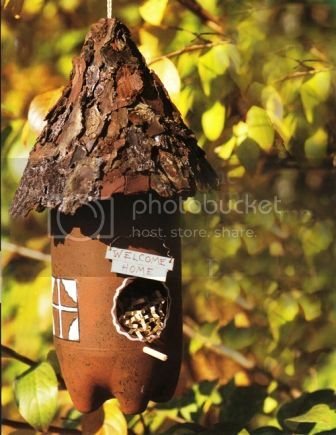 Bird feeders are always fun to make as you can easily enroll your kids into the process. It is awesome to watch birds coming and it also teaches your children to care for the Nature (which, in turn, makes them kinder, more responsible and eco-conscious). 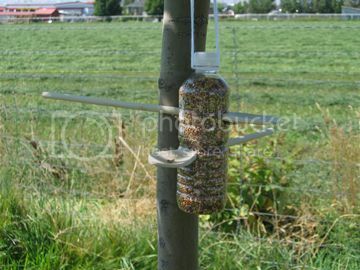 1 appreciated comments on "Plastic Bottle into a Bird Feeder"
there should be a hole at the very bottom of bottles else the grains at the bottom will not be discharged and waste,go mouldy etc.